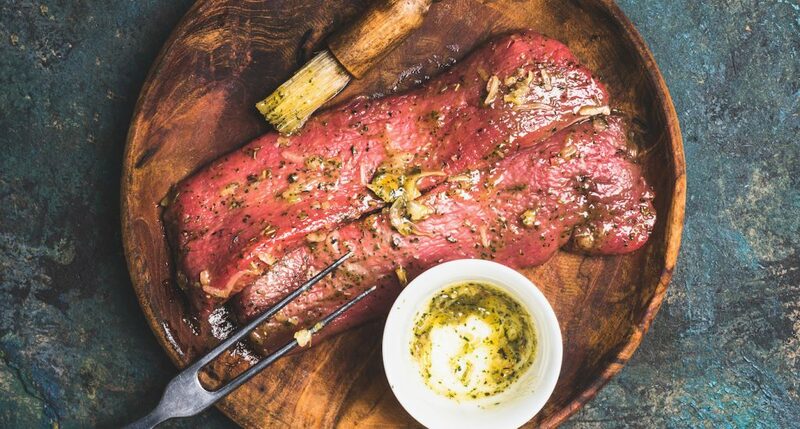 We’ve found these amazing marinades for lambs and can honestly say they are just divine! Lamb is such a sweet, but robot meat it can take the flavours so well – give them ago! Combine 1/2 teaspoon sesame oil, 1 tablespoon lemon juice, 1/2 to 1 teaspoon minced chilli, 1 tablespoon fresh mint, 2 tablespoons honey and mix well. Mix the juice of 1 large lemon with 1.5 teaspoons of salt and pepper, 1/2 tablespoon of dried oregano and 2-3 crushed garlic cloves. Combine 1/2 cup dry red wine and 1 tablespoon sesame oil with 1/4 teaspoon five-spice powder, 1/4 teaspoon chilli powder, 1 tablespoon brown sugar, 2 teaspoons grated ginger and 1 crushed garlic clove. Combine 1 tablespoon olive oil with 1 tablespoon Worcestershire sauce (or red wine vinegar), 2 tablespoons dark brown sugar, 2 tablespoons honey mustard and 1 tablespoon lemon juice. Combine 1 cup red wine, 1/4 cup extra virgin olive oil, 2 cloves chopped garlic, 2 teaspoons dry oregano, 2 teaspoons dry basil and freshly ground black pepper to taste.